While many of the features in PlayBook OS 2.0 are welcome additions, perhaps the most anticipated feature is the ability to install Android-based applications on the PlayBook. Well, we’re in the process of looking into it. Bringing DejaOffice to the PlayBook would allow you to sync tasks and memos in addition to contacts and calendars. It would also open the doors for USB sync and WiFi sync options. Stay tuned for more news as we explore this possibility! This entry was posted in Support Updates and tagged blackberry, google, outlook, playbook, rim. dejaoffice, sync by David. Bookmark the permalink. Any Updates? 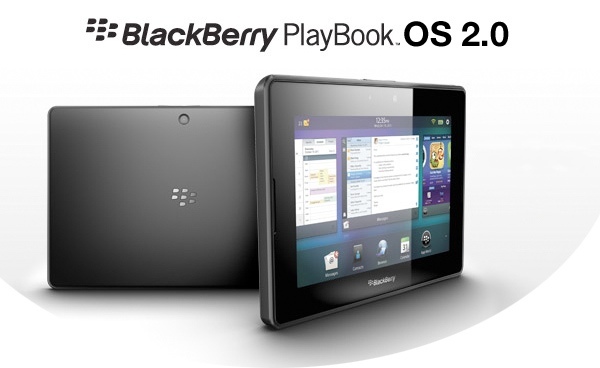 I’d like to sync my Palm Desktop (Contacts, Calendar, Notes, To Do List) with my Playbook. Will companionlink be forging ahead with an app to sync Act and Playbook? You can get ACT! data on your PlayBook in a roundabout way. 1. Use CompanionLink to sync ACT! to Google. 2. Set up Google to sync with your PlayBook. Hi there, any news? What’s the status of your testing? No change or updates yet. We are unsure of the future of PlayBook. We will wait and see what RIM’s direction will be in the next 12 months in light of new management and strategy. Thanks. Can you confirm exactly what functionality will be provided ? Is syncing of Outlook contacts from a PC (ie without MS Exchange) to Playbook possible ? Will the PB contacts be accessible from the PB Contacts native app ? Yes – CompanionLink will be able to sync Outlook to the PlayBook via DejaOffice (through WiFi and CompanionLink Secure Hosted syncs) in addition to the already available Sync via Google option we have. At this point, however, DejaOffice will not have access to contacts stored in the PlayBook’s native Contacts app. Let me know if I can answer any other questions! Many thanks. So, from the native PB mail app, will the contacts (synced as you described above) be ‘visible’ ? Ie once I’ve got my Outlook contacts on my PB, what can I do with them ? Because the native PlayBook mail app reads the native PlayBook contacts, the answer would be no. However, you can easily initiate an email from within DejaOffice and it will send you to the native PlayBook mail app. So once your contacts are in DejaOffice on the PlayBook, you can look up data, add notes, initiate emails, link them to calendar events and tasks, categorize them, filter them, etc. Does that answer your question? We have it running internally on our PlayBook. We’re currently in the testing phase, then we’ll get it approved for the App World. At this point, I’d guess 2-3 weeks, but that could vary depending on how testing goes.